You are here: Home / Obituaries / All Are Welcome! 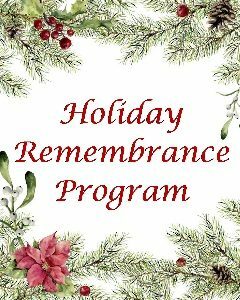 Visit our Facebook page or the News and Events tab, for upcoming dates for our Holiday Remembrance Programs! All are welcome to attend. Please call one of our chapels to RSVP.